Floor Restorers, Ltd has been servicing the Dallas Fort Worth and surrounding area for over 17 years. We specialize in restoring floors damaged after fire or flood. We offer quality products and honest, dependable craftsmanship. We also install new tile bathrooms and all types of floor coverings. You will always find Floor Restorers, Ltd prompt and courteous. Our service area is the much of the north Texas region. For a complete list of cities, check the Service Area. We have been in business over 12 years. Floor Restorers, Ltd sales staff will answer any questions about your flooring needs or purchase. Our courteous and experienced installers will install your new floor quickly and professionally. 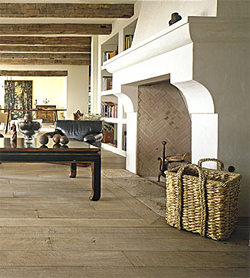 Floor Restorers, Ltd brings flooring samples to your home. Our mobile showroom carries a large selection of products. Make decisions on your new floor in your own home. All our flooring installations are warranted for one full year. Material warranties are covered according to Manufacturers Warranty listed on samples.